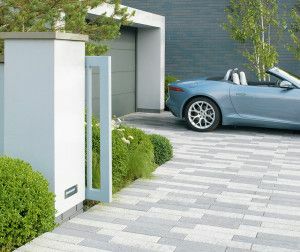 Vecta is a high quality reconstituted linear paving that creates a distinctive modern look for any driveway project. The paving has a lightly-textured surface finish applied that has been 'washed' to expose the premium aggregates. Vecta is available in four classic colours – Silver Grey, Charcoal Grey, Warm Coral and Dusted Coral. Each colour can be used on its own or in bold combinations.